Luma Series - VOfx - Prolume, Inc. The VOfx adds several optical options to a one-point-two (1.2) inch pitch light engine. These optics help to achieve clean beam sculpting and deliver superior coverage in grazing applications. VOfx is constructed of a sturdy powder coated, low-profile aluminum housing. 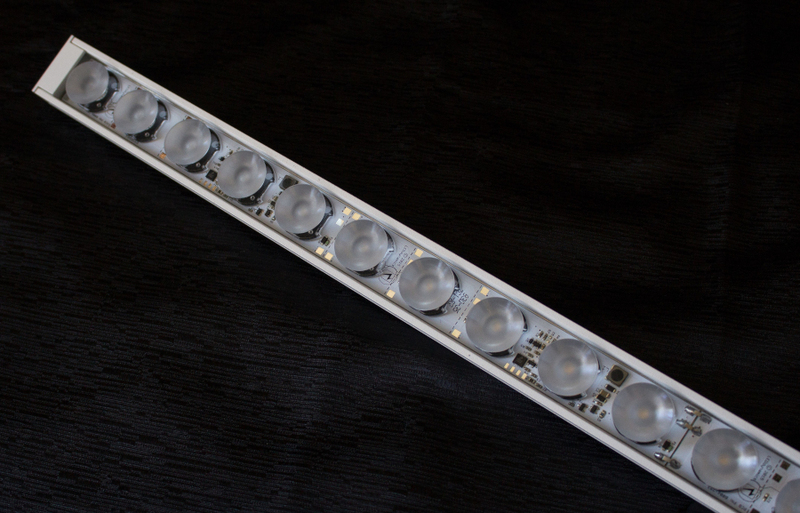 It is available in standard output and includes onboard 0 – 10 VDC dimming. Available with a standard dry rating, a damp option is also available. The VOfx can be mounted in either a fixed or articulating position to deliver the desired illumination and is revered by specifiers for wall grazing and ceiling, rotunda & nave lighting applications.